Geographer Brett McGillivray originated and led international field schools that presented hands-on learning experiences across Europe and Asia. In 1995, he led a nine-credit Asia field school through China, Vietnam, Thailand and Hong Kong. 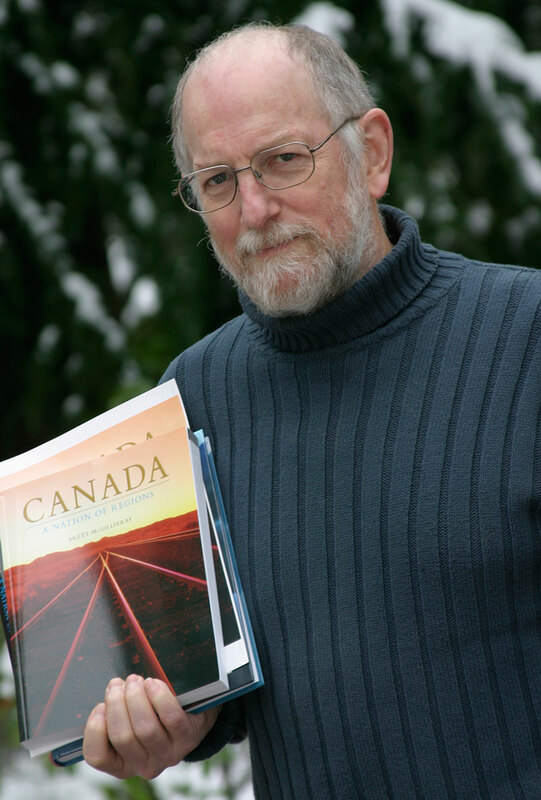 Soon after, McGillivray travelled Canada researching and writing the textbooks his name is associated with: The Geography of British Columbia: People and Landscapes in Transition (first published 2000) and Canada: A Nation of Regions (2006). Both have gone through numerous editions, with the fourth edition of Geography of British Columbia coming out in 2019. The books come from the perspective of “an evangelical geographer” aiming to cut academic jargon and inspire a sense of wonder about Canada. McGillivray lives on the Sunshine Coast and, although he retired from Capilano University in 2008, he continues to lecture at the University’s Sechelt campus as well as making guest presentations at universities across the Lower Mainland. The 74-year-old keeps in shape playing hockey and is currently building his seventh house.